When Microsoft announced the Microsoft Classroom Pen for Surface tablets at the BETT education fare in London this week, they said they would announce more details on Friday. Well that didn’t happen. But after researching the school geared pen that will only be sold in 20-packs to schools anyway (at least to begin with) there isn’t really anything more to say about the pen either. 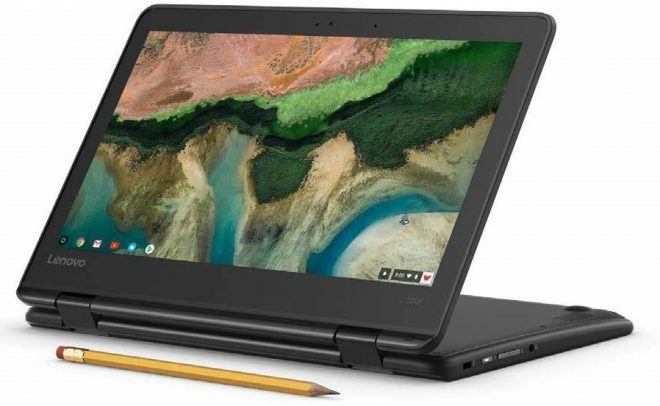 But the Microsoft For Education division did run through a few other pen related highlights in a video from BETT, where their Windows partner Lenovo demonstrated how it’s possible to write on the Lenovo 300e II with a regular graphite pencil in case the integrated stylus gets lost. So that may be just as good a solution for the school market. This display writing technology originates from their AnyPen technology that Lenovo introduced on the Lenovo Yoga Tablet 2, which made it possible to use anything from screwdrivers to pencils as a stylus.